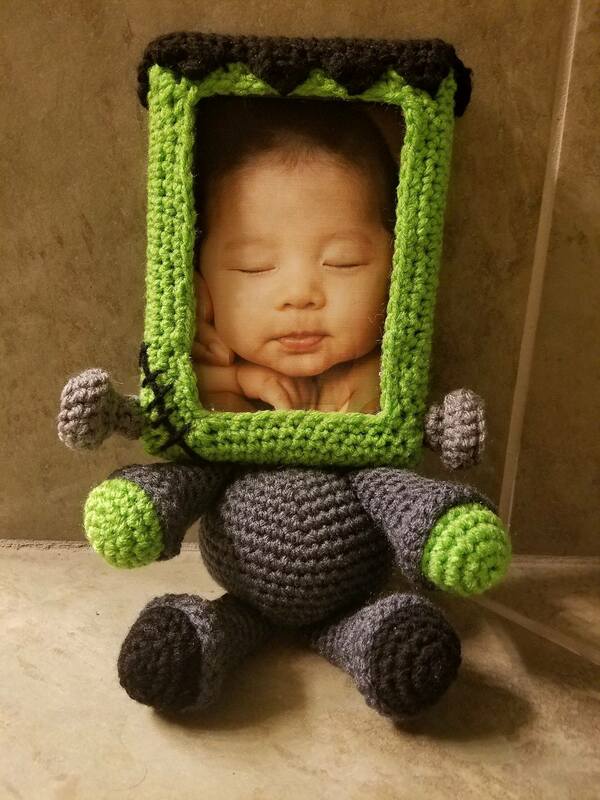 My son loves pokeman. 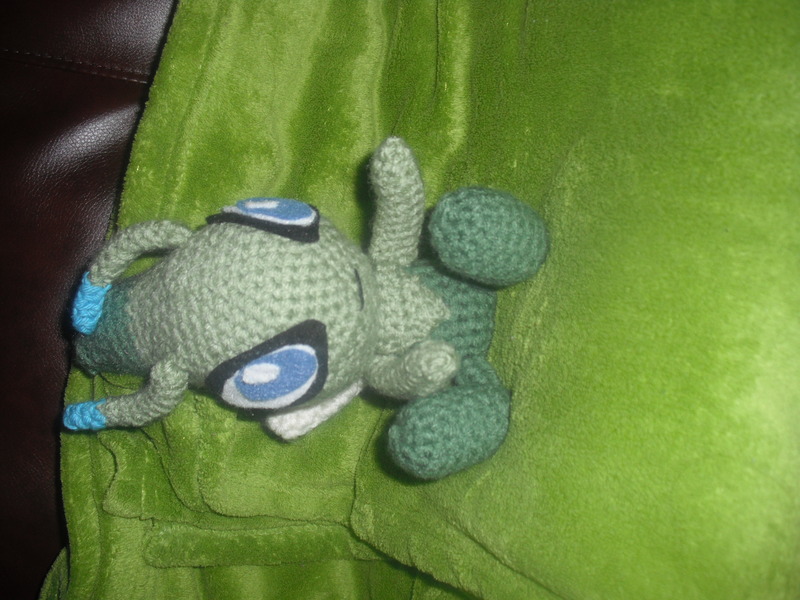 Would you know how to make a Snivy? Thanks for noticing that mistake…changed that on there and I looked at the feelers and added the change color note. After after looking at it, I realized that the feelers were written incorrectly and re-did that. Glad you’re enjoying the pattern! quick question: how long and tall is Celebi? Sitting down he is 7 inches tall to the tip of his head. 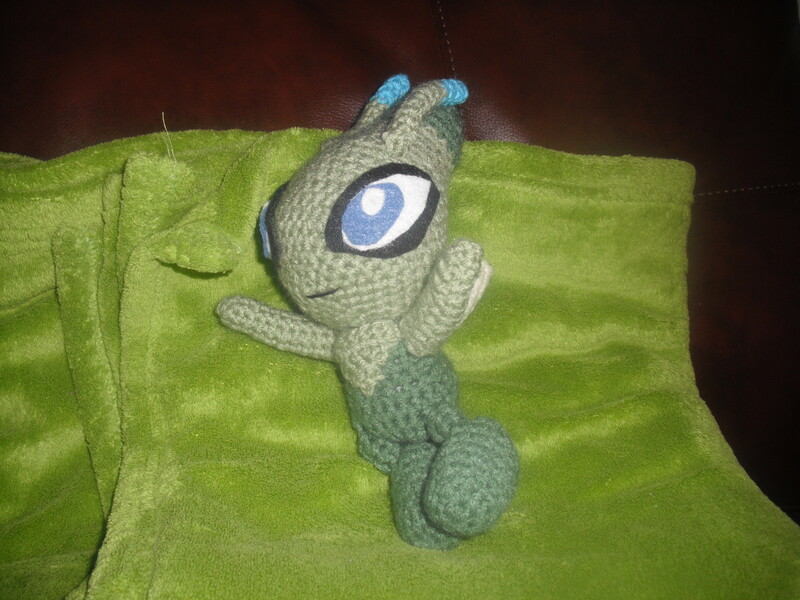 I followed this pattern and made shiny celebi!!! 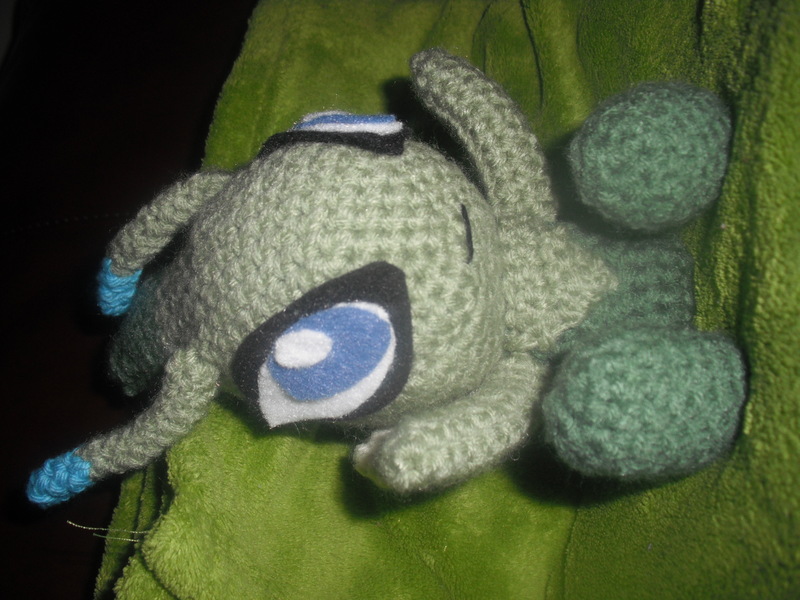 I’m 15 and started crocheting at 13 and love Pokemon so when I saw this I had to make it!!! 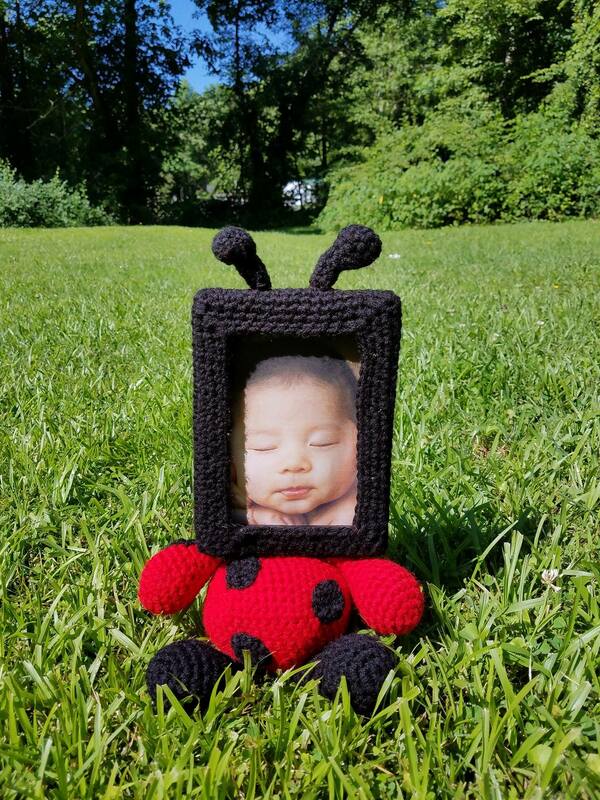 I looked all over the net for a decent pattern and yours was the best. It was soo easy to follow. 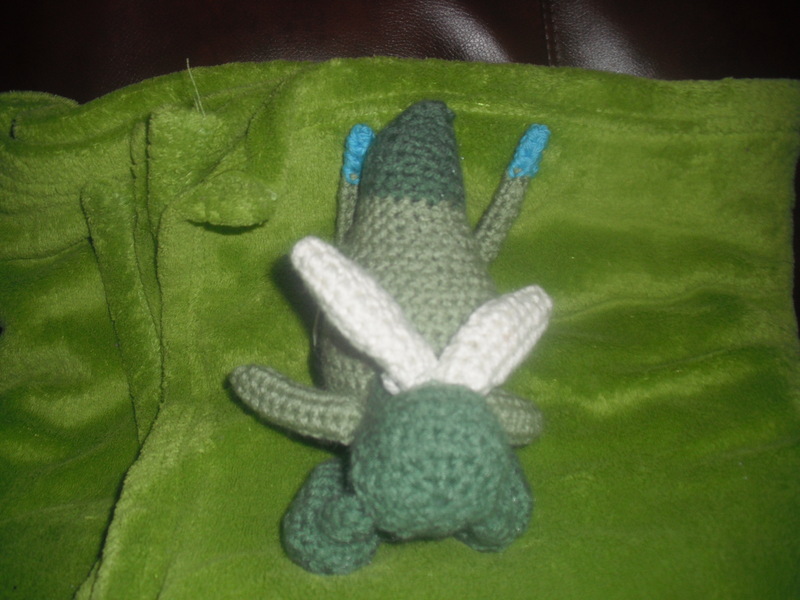 I’m also going to crochet other Pokemon from your website too!!! Can’t wait to start crocheting!!!! Could you do floette ??? My sister loves that Pokemon and there are not a lot of patterns. 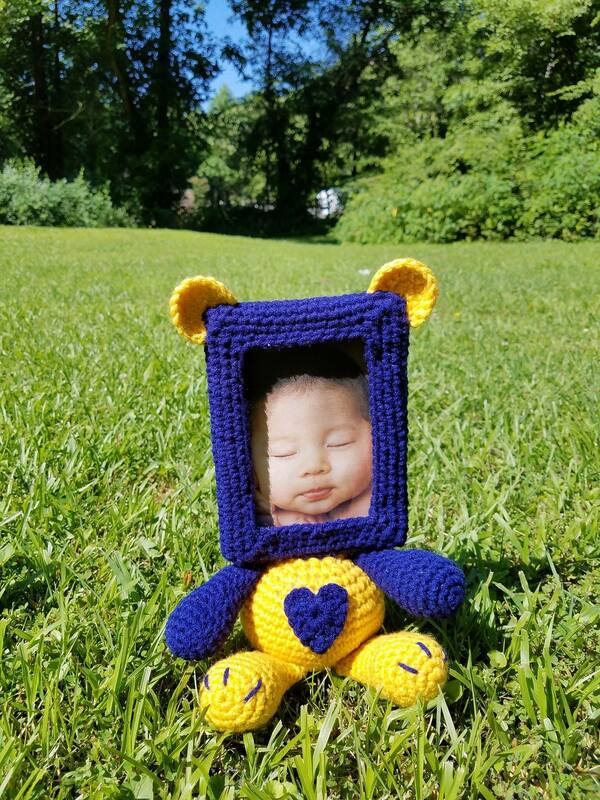 I wanted to crochet it for her birthday!!!! So if you could it would be amazing!!!! !